« Does Hope Lie in the Proles? 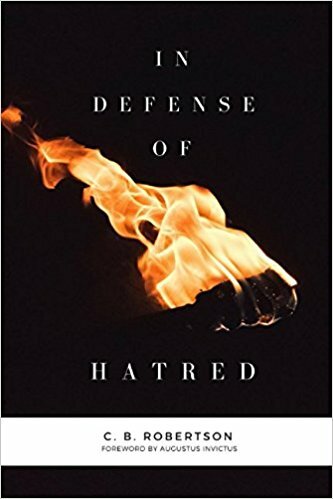 C. B. Robertson speaks at the Fourth Meeting of the Northwest Forum on Saturday, June 24th on themes discussed in his book In Defense of Hatred (reviewed here by Aedon Cassiel). Published: June 26, 2017 | This entry was posted in Counter-Currents Radio and tagged C. B. Robertson, Counter-Currents Radio, ethnics, hatred, In Defense of Hatred, love, morality, Northwest Forum, podcasts, rhetoric. Both comments and trackbacks are currently closed. If I ever run a reprint, I’ll have to include that quote.